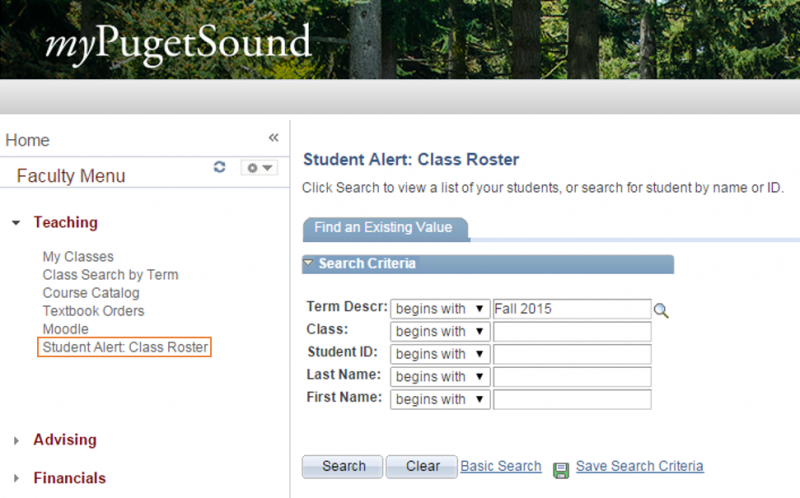 To see a complete list of all students in all classes you are teaching, click on Student Alert: Class Roster under the “Teaching” menu, then click “Search”. The resulting list defaults to sorting by Student ID. If you would like it to sort alphabetically instead, click on the “Last Name” column heading. The term description defaults to the current term. 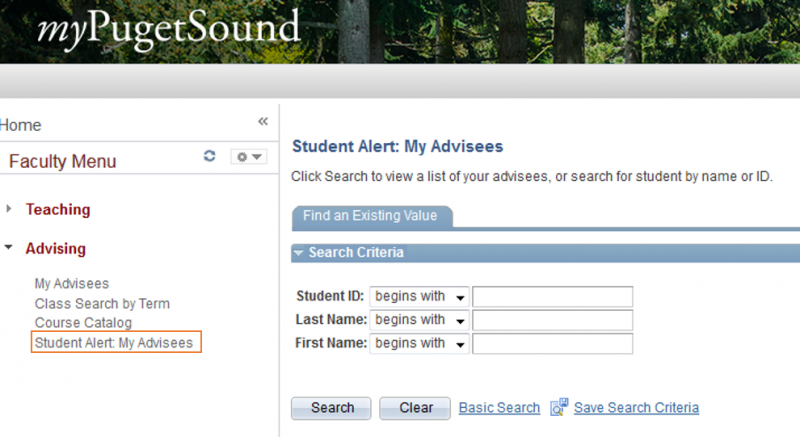 To see a complete list of all your advisees, click on Student Alert: My Advisees under the Advising menu, then click Search. The resulting list defaults to sorting by Student ID. If you would like it to sort alphabetically instead, click on the Last Name column heading. The term description defaults to the current term. If you would like to submit an alert for a student not currently in your class or one of your advises please use the Student Alert click under Campus Operations. When searching for a student in this category it is best to input whatever identifying information you have about the student, first and/or last name and ID. 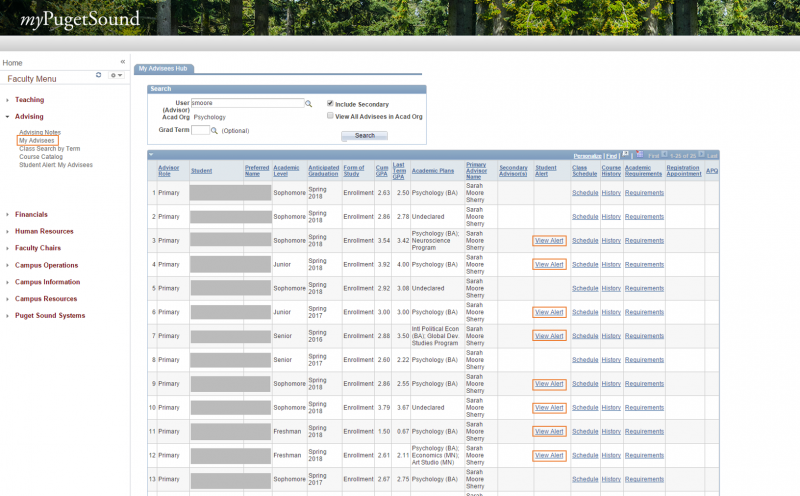 Giving the system some parameters will shorten the search time. The alert form has been modified a bit, but generally it should look and function in a familiar fashion. The one change worth noting is we are now REQUIRING a Course of Action. In order to do our work in a timely fashion we need to know how you would like us to proceed. If you do not fill in a course of action the system will give you an error message and the alert will not be saved. 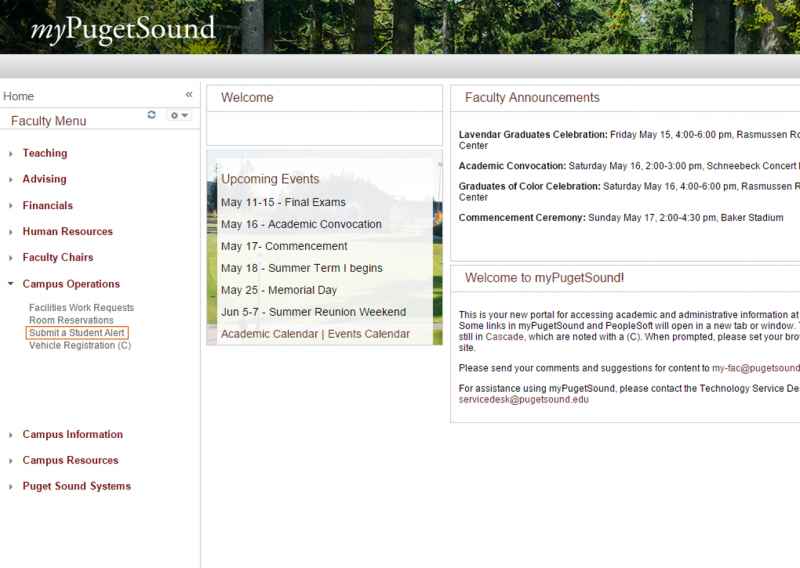 Advisors will receive email notification if an alert is submitted for any of their advisees. Advisors will be able to access alert notes either via the hyperlink in the notification email or the hyperlink on My Advisees Hub.